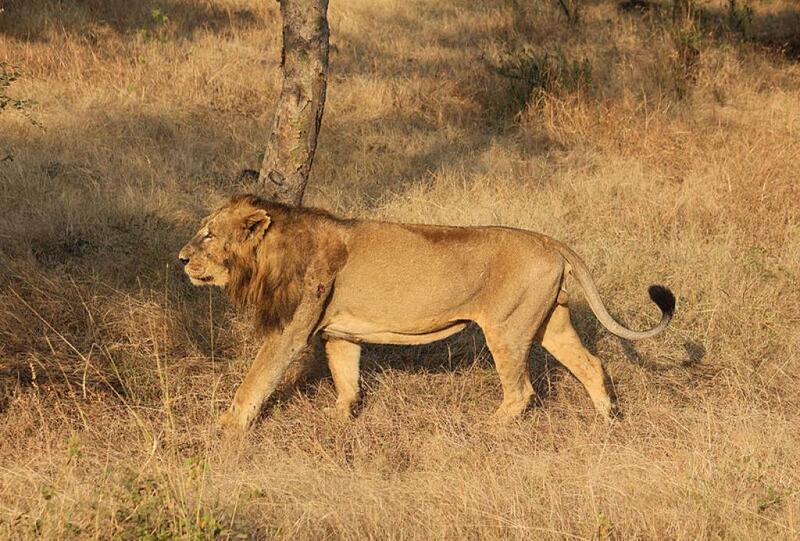 A 270-member force of the Gujarat Forest Department, divided into 64 teams, has fanned out from September 24 to detect diseases in the Asiatic lions of Gir. “Each of the 64 teams will comprise a forester, two beat guards and a lion tracker. These teams will carry out the exercise under the supervision of respective range forest officers. The teams will observe lions and if found ill, they will be given medical treatment. To ensure that sick animals get medical treatment on time, three teams of veterinary experts have also been formed. Each team will have a veterinary expert and a veterinary assistant,” The Indian Express quoted Gujarat’s Principal Chief Conservator of Forests G K Sinha as telling media persons in Junagadh on September 23. The forest department’s move comes three days after it was revealed that 11 lions had died between September 12 and September 19 in the Dalkhaniya and Jasadhar ranges of Gir (east) forest division in Amreli district. The dead included six cubs, three adult lionesses and two adult males. A team of the Joint Director (Wildlife), Union Ministry of Environment, Forest and Climate Change, Assistant Inspector General, National Tiger Conservation Authority (NTCA) and a scientist from the Wildlife Institute of India in Dehradun visited the Dalkhaniya range to study the causes of lion deaths. They have concluded that the cubs died due to injuries sustained during a territorial fight between male lions over territory, while the lionesses caught infection as they retreated to the bushes and went hungry following the fight. Tissue samples from the dead lions have also been sent to Pune’s National Institute of Virology to ascertain if any virus caused the death. The government has also announced that vaccination of livestock in Gir’s protected areas will be taken up in the wake of suspicion that some lions might have feasted on cattle that were poisoned. The lion census of 2015 had put the total population of Asiatic lions in Junagadh, Gir-Somnath, Amreli and Bhavnagar districts at 523.